In February 2008 the Black Raven made his first appearance in Flashing Swords magazine. MikO sketched the very first picture of Ahren in that issue and the feeling of getting to see him for the first time was incredible. Several very talented artists have drawn and painted him since, but now, seven years later, Alex Raspad has given me the most spectacular of them all. 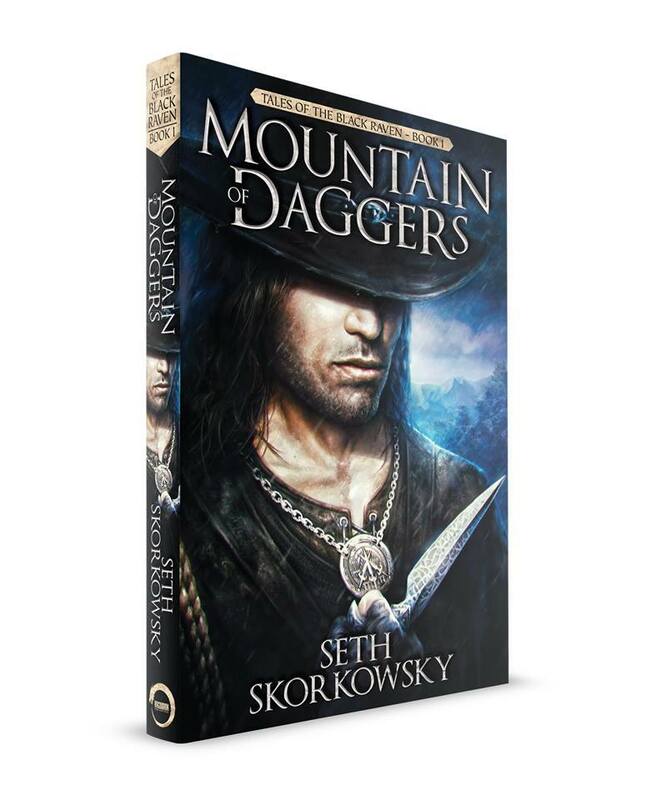 Between Alex’s beautiful art, and Shawn King’s cover design, I’m proud to reveal the final cover for Mountain of Daggers. I love this cover. Absolutely. Love. It. I want to thank Alex Raspad, Shawn King, and everyone at Ragnarok Publications for this. They’ve done an amazing job and I look forward to sharing Ahren’s adventures when Mountain of Daggers comes out next month.